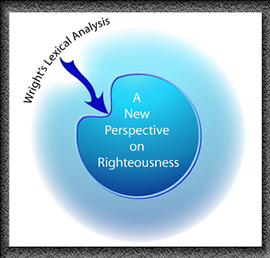 Central to Wright's argument concerning the doctrine of justification is his lexical/historical analysis of the word righteous, along with the expression the righteousness of God. It is in this chapter that Wright's arguments are laid bare and then reviewed by the standard of Scripture. 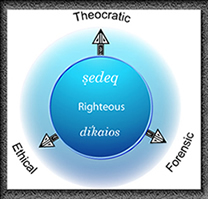 Wright's attempt to retool the meaning of the term righteous/righteousness requires a great deal of historical and lexical revision. This chapter addresses his arguments and his errors. The greatest error committed by Wright is that he fails to acknowledge the concept of a lexical domain such that he offers a problematically monolithic view of righteousness. The great danger of any word study is that word meanings, if stripped of their contextual and historical meaning, can reduce any text to a muddled, confusing heap. Only a disciplined and thorough analysis of God's Word will suffice if we hope to discover the true meaning and intent of the Author of all of Holy Writ - the Lord Himself.